Developed as a result of strong civil society engagement and structured around seven comprehensive guidelines that encompass the most relevant aspects of sustainable food chains and systems, Brazil’s National Policy for Agroecology and Organic Production is a unique federal framework policy for the promotion of agroecology and organic production. It involves all relevant stakeholders and government bodies, creates important spaces for participatory planning, implementation and monitoring, and incorporates transdisciplinarity into Brazilian policymaking. In its first cycle of activities it led to impressive quantitative results in terms of advancing the agroecological agenda in the country (budget and initiative-wise), investing over EUR 364 million. With its multisectoral, transdisciplinary approach, its impressive achievements, and its respect for the Future Just Lawmaking Principles and Elements of Agroecology, Brazil’s PNAPO was recognized with the Future Policy Silver Award 2018, awarded by the World Future Council in partnership with FAO and IFOAM – Organics International. The Brazilian agroecological movements seek to address the problems related to the environmental degradation caused by the Green Revolution and its impacts on food production. PNAPO was constructed through major, bottom-up civil society efforts that created momentum and led to the Federal Decree No 7,794 adopted by President Dilma Rousseff in 20th August 2012. PNAPO’s overall aim is to integrate and articulate policies, programmes and actions for the promotion of agroecological transition. It is governed by the Interministerial Chamber of Agroecology and Organic Production (CIAPO) and the National Commission of Agroecology and Organic Production (CNAPO), 50 per cent of which is civil society representatives. One of the PNAPO’s main instruments is the National Plan for Agroecology and Organic Production (PLANAPO). In its first cycle of activities (2013-2015), PLANAPO set out 125 concrete initiatives and achieved significant progress towards agroecology. In 2016, the second cycle of the Plan (PLANAPO 2016-2019) was launched, with roughly 194 concrete initiatives; however budget cuts hamper its implementation. PNAPO has led to visible large-scale improvements for smallholders and vulnerable groups in Brazil. Brazil’s National Policy for Agroecology and Organic Production (PNAPO, Política Nacional de Agroecologia e Produção Orgânica), 2012, full text available here. As PNAPO was designed to integrate and articulate policies and actions for agroecology and organic production, there are several other policies and laws within the Brazilian legal framework linked to it. Within this context, it is important to highlight those directly mentioned by the Federal Decree No 7,794, namely the Law No 10,831 of 23rd December 2003 (on organic agriculture), the Federal Decree No 5,153 of 23rd July 2004 (which regulates the National System of Seeds and Seedlings), the Law No 11,326 of 24th July 2006 (on the National Policy for Family Farming and Rural Family Units) and the Federal Decree No 6,323 of 27th December 2007 (which regulates the Law No 10,831 on organic agriculture). Adding to those, one can also point out the Law No 11,346 of 15th September 2006 (which established the National Food Nutrition and Security System), the Federal Decree No 6,040 of 7th February 2007 (on the National Policy for the Sustainable Development of Traditional Peoples and Communities), the Law No 11,947 of 16th June 2009 (on the School Feeding Programme), the Law No 12,188 of 11th January 2010 (on the National Policy for Technical Assistance and Rural Extension), the Federal Decree No 7,272 of 25th August 2010 (which created the National Policy for Food Nutrition and Safety and set out guidelines for the National Plan on Food Nutrition and Safety), the Federal Decree No 7,7352 of 4th November 2010 (on the National Program for Education in Agrarian Reform), and the Federal Decree No 8,553 of 3rd November 2015 (on the National Pact for Healthy Eating). PNAPO’s first cycle of activities – PLANAPO 2013-2015 – resulted in a broad set of public actions, which led to remarkable, measureable results in terms of advancing the agroecological transition in Brazil (budget and initiative-wise). By 2015, PLANAPO had invested EUR 364 million (65 per cent) of its originally allocated budget (of over EUR 592.34 million) and achieved evident large-scale developments for smallholders and vulnerable groups in the country. For its remarkable accomplishments, Brazil’s policy won the Future Policy Silver Award 2018. PNAPO succeeded as an exercise in public participation, articulating and strengthening the relationships of trust between and within Government Bodies, farmers and consumers, in addition to encouraging public-private partnerships around agroecology. It likewise contributed to the incorporation of agroecology into public policy planning at both the federal and subnational levels, as well to the development of transversal policies on food safety and nutrition and the environment. The implementation of PNAPO is particularly effective as it is a multi-sectoral and multi-stakeholder interdisciplinary policy on a federal level, and it implements corresponding initiatives throughout the five Brazilian regions. Some programmes and initiatives already existed before its creation, but nonetheless, with the establishment of the Policy, those programmes have been strategically integrated into PNAPO’s general objectives and working plan. Our “Best Policies” are those that meet the Future-Just Lawmaking Principles and recognise the interconnected challenges we face today. The goal of principled policy work is to ensure that important universal standards of sustainability and equity, human rights and freedoms, and respect for the environment are taken into account. It also helps to increase policy coherence between different sectors. Promotes socially inclusive and sustainable food production systems, free of pesticides and GMOs, sound water management, minimum use of external inputs. Strong component for agrobiodiversity conservation and seed diversity. Includes Cisterns Programme in the semi-arid and the Bioinsumos Programme which optimizes the use of natural resources and promoting nutrients recycling. The first cycle of PLANAPO failed in including a thematic area for land and territories, which was later incorporated in PLANAPO 2016-2019. PNAPO is the result of policymaking for poverty eradication. Targets family farmers, women, youth, local and traditional communities, quilombolas (descendants of Afro-Brazilian slaves) and other vulnerable under-represented groups, empowering regional and local stakeholders and their networks. CNAPO’s Subcommittee on Women provides inputs and demands in all areas. Scaled up local agroecology projects, strengthened university spaces, supported agroecological & organic markets and events, local food chains. PNAPO and PLANAPO aim at reducing the use of agrochemicals and GMOs. Created Health Monitoring Systems for Populations Exposed to Pesticides in all States plus the Federal District. Reports on pesticides in the water for consumption. Co-creation of knowledge and support to local and traditional knowledge and innovation (e.g. public calls on traditional seeds, seed banks). Due to political divergences, the National Plan for the Reduction of Agrochemicals and Use (which was extensively debated) was not implemented 2013-2015. Civil society was pushing for the policy & actively participated in the policy design. 50% of CNAPO are civil society representatives and 50% from the government, guarantees multisectoral participation in PLANAPO implementation and monitoring. CNAPO continuously monitors PLANAPO, including through specific assessments. Budgets and information are published online (“Transparency Portal”, website). CNAPO strengthened the relationship with the Federal Public Prosecutor’s Office. Diverse ministries and government bodies implement PNAPO, surveilled by control bodies (Federal Public Prosecutor’s Office, Federal Policy, Federal Audit Court, amongst others). CNAPO is a space for debates and solution thinking, and a type of ombudsman. Recognize the role of smallholder producers (e.g. programmes for seed banks). Promotes inter-agency, interministerial and cross-sector consultation, planning and dialogue (CIAPO) and fosters dialogue and cooperation between government and civil society (CNAPO), advocating also for more exchange with the National Council on Food and Nutrition Security (CONSEA). Offers a transdisciplinary approach and perspective to Brazilian policy-making, having social justice as one of the policy’s main guidelines and concerns. In its first cycle, build trust between government, farmers and consumers. CIAPO could allow for more civil society engagement in decision-making. Takes into consideration diversity (biomes, climates & cultures). Several programmes are executed according to specific characteristics (e.g. semi-arid). Regional distribution could be improved in implementation. Promotes the use of alternative technologies (Segunda Água Programme). Centers for Agroecology (NEA) provide free assistance. The National Policy for Agroecology and Organic Production (PNAPO) is a pioneer Brazilian national public policy on agroecology. It was enacted through a participatory process, in which civil society played a pivotal and leading role in pushing forward the agenda and in ensuring that some relevant demands were effectively included in the policy’s final text. It is worthy of notice that the Brazilian agroecological movements encompass actors from multiple spheres of society, e.g. peasant youth and women, landless workers, traditional communities. They date back to the 1970’s social movement for an alternative agriculture, which was one of the first to formally address in country the problems related to the environmental degradation caused by the Green Revolution and its impacts on food production. This movement was then strengthened by the arrival in Brazil of specific scientific literature on agroecology and by the creation of certain organizations, such as the Advisory and Services for Projects in Alternative Agriculture (AS-PTA), the National Articulation of Agroecology (ANA) and the Brazilian Association of Agroecology (ABA). In the mid-1990s, “the Brazilian agroecological movement made significant strides, gaining ground among social movements, NGOs, higher education and research institutions, as well as in technical support and rural extension programs”. Agroecological demands have thus acquired momentum in the country over the past fifteen years as a result of the convergence and coordination of social movements related to ecological production, the arduous and extensive work of NGOs dedicated to agroecology and the organization of several regional and national events that have brought together stakeholders from civil society, academia and the Government, such as the Regional Seminars promoted by ANA in 2011, the Regional and National Meetings on Agroecology (ERAs and ENAs) and the National Conferences on Agroecology (CBA). The PNAPO was hence adopted by President Dilma Rousseff in 20th August 2012, by means of the Federal Decree No 7,794. It is relevant to point out that within the Technical Board for Organics (CT-ORG) there was in the early 2010s a proposal to create a national policy on organic agriculture. However, with the decision of the President to establish a policy on agroecology, both issues were incorporated into the same agenda. During the enactment process of the National Policy, the most relevant spaces for dialogue between the Government and civil society were the five Regional Seminars (from February to April 2012) and the National Seminar (May 2012) entitled “For a National Policy on Agroecology and Organic Production” jointly organized by ANA and ABA with the support of the Ministry of the Environment (MMA). Based on these discussions, ANA formulated the document “Proposals of the National Articulation of Agroecology for the National Policy on Agroecology and Organic Production”, which proposed to the Interministerial Working Group in charge of PNAPO a series of guidelines, objectives and instruments for the PNAPO. Likewise, in May 2012, the National Council on Food and Nutrition Security (CONSEA) forwarded to the Presidency the Explanatory Memorandum No 005-2012, supporting the approval and effective implementation of PNAPO, and stressing priorities regarding food and nutrition security, such as the implementation of a National Plan for the Reduction of Agrochemicals Use in Brazil. Given all that, in May 2012, the meeting “Dialogues between Government and Civil Society” was held by the Federal Government to engage civil society in the draft of the latest version of PNAPO’s text. It is relevant to stress that not all the civil society priorities and demands were in fact incorporated into the definitive text of Decree No 7,794. Nonetheless, PNAPO still represented a milestone in Brazilian policies for rural development and an accomplishment of the Brazilian agroecological social movements. All in all, PNAPO has established at the national level a set of provisions and guidelines regarding the promotion of agroecology, outlining a legal and political pathway for the promotion of more sustainable, socially inclusive, environmentally friendly food production systems in the country. The PNAPO’s main goal is to “integrate, articulate and adequate policies, programs and actions for the promotion of agroecological transition and of organic and agroecological production, contributing to sustainable development and the population’s wellbeing through the sustainable use of natural resources and the offer and consumption of healthy food” (Article 1 of Federal Decree 7,794). The Policy was built around seven guidelines, namely (1) the promotion of food sovereignty, food safety and nutrition and the human right to food through the offer of organic and agroecological products, (2) the sustainable use of natural resources, respecting labor regulations and improving workers’ wellbeing; (3) the conservation of natural ecosystems and the recovery of modified ecosystems through systems based on natural resources and methods and techniques that reduce waste generation and minimize dependence on external outputs, (4) the promotion of just and sustainable food production, distribution and consumption systems, supporting family farmers, (5) the promotion of socio- and agrobiodiversity, encouraging local initiatives of use and conservation of genetic resources, (6) the participation of rural youth in organic and agroecological production, and (7) the reduction of gender inequalities (Article 3 of Federal Decree 7,794). Beneficiaries of the policy are “Family farmers, settlers in general and settlers of the land reform, traditional peoples and communities, including rural youth and their economic organizations that may want to strength or to modify their productive practices into agroecological or organic productions”. The CIAPO is the government body composed of nine Ministries and six invited Independent State Agencies. It is coordinated by the Special Secretariat for Family Farming and Agrarian Development (SEAD), which also provides technical and administrative support. CIAPO’s attributions are: building up and executing the National Plan for Agroecology and Organic Production (PLANAPO), coordinating the Government Bodies and Entities committed to PNAPO’s implementation, promoting liaison among and with State, District and Municipal Bodies and reporting to the CNAPO on the monitoring of the PLANAPO. The CNAPO, on the other hand, represents the government-civil society liaison. It is composed of fourteen representatives from the public administration and fourteen representatives from civil society organizations, each one with a designated alternate representative. It is coordinated by the Secretariat of Government of the Presidency of the Republic (Segov), through the National Office of Social Articulation (SNAS), which also provides technical and administrative support. A wide range of civil society organizations is currently active in the Commission, among them are ANA, ABA, CONSEA, AS-PTA, ABRASCO, AbraBio, ASA, Ecovida Agroecology Network, MST, MMC, and CONTAG. CNAPO’s attributions are: facilitating civil society participation and surveillance of the PNAPO and PLANAPO, establishing thematic subcommittees on issues of interest, offering advice on the PLANAPO’s guidelines, objectives, priorities and instruments to the Federal Government and fostering dialogue across stakeholders for policy implementation. 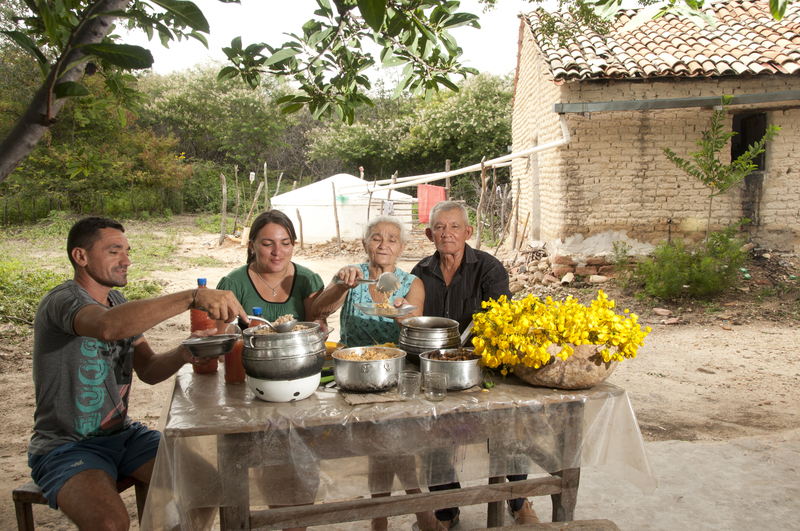 The National Policy has been implemented in Brazil since 2012, aiming at fostering sustainable agricultural practices and healthy food consumption habits; empowering family farmers, traditional communities, women and youth; and promoting sustainable rural development through specific programs and financing for smallholder farming. It is a multi-sectoral and multi-stakeholder interdisciplinary policy on a federal level, whose initiatives have been implemented throughout the five Brazilian regions, with verifiable results. Some programmes and initiatives currently included in the flagship of PNAPO already existed before its creation. Nonetheless, with the establishment of the policy and the creation of CNAPO, those programmes have been strategically articulated and integrated into PNAPO’s general objectives and working plan, guaranteeing more participative planning, implementation and monitoring processes. One of the PNAPO’s main instruments is the National Plan for Agroecology and Organic Production (PLANAPO), which must always include at least the following elements: overview/diagnosis, strategies and goals, programmes, projects, actions, indicators, deadlines and a management structure (Article 5 of Federal Decree 7,794). Other instruments of the Policy are: rural credit, insurance, price regulation and compensation, government purchases, tax and fiscal measures, research and innovation, technical assistance and rural extension, vocational training and education, control mechanisms, monitoring and evaluation systems (Article 4 of Federal Decree 7,794). It is worthy of notice that the PLANAPO adopts PNAPO’s guidelines, is currently in its second cycle and has been developed with a broad participation of civil society, altogether with the National Policy. The main goals and initiatives of PLANAPO are to strengthen agroecological and organic production networks, increase the supply of Technical Assistance and Rural Extension (ATER), focusing on agroecological practices; increase access to water and seeds, strengthen government procurement of products, increase consumers’ access to healthy food, without the use of agrochemicals or transgenics in agricultural production, thus strengthening the economic value of the farming families. In addition, it seeks to expand access to land and territories, as a means of promoting the ethnic-development of traditional peoples and communities, indigenous peoples and settlers of agrarian reform, as well as supporting the production, processing, storage, distribution and marketing of products socio-biodiversity and the expansion of its visibility and consumption. The first cycle of the Plan (PLANAPO 2013-2015), which covered the period from 2013 to 2015, was structured around fourteen goals and six objectives within four broad thematic areas: (1) Production, (2) Use and Conservation of Natural Resources, (3) Knowledge and (4) Marketing and Consumption. It set out 125 concrete initiatives to be implemented by the Government in partnership with relevant stakeholders. Despite “civil society proposals have not been fully included in the final version of the document, there is a general consensus on the fact that the Plan marks an historic moment, an important step forward in the direction of a more sustainable peasant agriculture, especially in a country such as Brazil where the agribusiness model still keeps on maintaining a great influence on government policies, due to its economic importance”. According to ANA, there are several good points to be highlighted in the first PLANAPO (2013-2015). Among the positive aspects are the actions that had a budget for implementation and which made an important contribution to the advancement of agroecology. Some of them already existed beforehand, but with the policy, they were planned, executed and monitored in a more participative way, being strategically articulated with the general objectives of the policy. These include: The Agroecology Studies Centers involving teachers, students and community in teaching, research and extension actions, programmes to coexist with the semi-arid region aimed at the construction of rainwater harvesting and storage structures for food production, the Food Acquisition Programme (PAA) through which the National Food Supply Company (CONAB) purchases food directly from family farmers for donation to entities that work with social assistance, as well as the Public Notices for Technical Assistance and Rural Extension which have enabled organizations in the agroecological field to expand their technical staff on an unprecedented scale and to involve a larger public of farmers in the agroecological innovation local networks. Although the policy instruments have remained primarily driven by the logic of technology diffusion, the dialogues between government and society have had some important results, such as greater participation of women farmers, with the consequent visibility of the work done by them, and the opening up for the incorporation of participatory methodologies in the projects. On the other hand, the time required to respond to the administrative tasks of executing the contracts and the maintenance of the individualized technical assistance logic has in many cases hampered the organizations’ ability to energize local networks and strengthen farmers’ organizations. Last but not least, the number of new phytosanitary products registered for use in organic agriculture was also important. Since the creation of the policy, a number of initiatives have emerged and were implemented. These include the Ecoforte Programme aimed at strengthening territorial networks of agroecology and the Semi-Arid Seeds Programme, which supported the structuring and/or construction of 640 traditional Community Seed Banks. Among the negative aspects of the first PLANAPO are the very small budget for policies such as the Ecoforte Programme and Technical Assistance and Rural Extension, the non-establishment of the National Programme for the Reduction of the Use of Agrochemicals (PRONARA, already prepared and approved within CNAPO), as well as the absence of the Land and Territory component and actions involving agrarian reform and the recognition of the territorial rights of traditional peoples. In 2016, the second cycle of the Plan (PLANAPO 2016-2019) was launched, taking into consideration the challenges and progress of the previous cycle, and further advancing the established programmes. It set out roughly 194 concrete initiatives and established 30 goals and seven objectives within six broad thematic areas, adding “Land and Territory”, and “Socio-biodiversity” to those already covered by the first cycle. Likewise, it was aligned and synchronized to the Brazilian Plurennial Plan (PPA, Plano Plurianual) 2016-2019. Working Group within CNAPO, composed of representatives from the Government and Civil Society, which defines monitoring and assessment mechanisms, methodologies and instruments. Implementation reports to facilitate the follow-up of PLANAPO’s projects, programmes and actions, which will be based on information on the indicators established by the PLANAPO provided by the Ministries represented at CIAPO. Annual report on the physical and financial execution of the PLANAPO presented by CIAPO to CNAPO. Continuous monitoring, following-up and assessment by CNAPO of the evolution of the programmes and actions set out by the PLANAPO. Liaison with councils, commissions and other National, State and Municipal Bodies related to PLANAPO’s scope, facilitating the exchange of information. The first cycle of the PLANAPO (2013-2015) resulted in a broad set of public actions, involving the allocation of more than EUR 592.34 million to its initiatives (of which 65 per cent or about EUR 364 million were financially implemented by 2015). 61.24 per cent of allocated resources were assigned to production. Of the 89 initiatives that had budgetary provision, the following 15 accounted for 95 per cent of resources: Segunda Água Programme (1.4 billion BRL), National School Feeding Programme (317 million BRL), ATER (489 million BRL), education on agroecology (109 million BRL), research (34 million BRL), Ecoforte (32 million BRL), farmer training (25 million BRL), seeds (34 million BRL), and health surveillance plans (22 million BRL). PLANAPO led to impressive quantitative results in terms of advancing the agroecological agenda in Brazil. Among the numerous important outcomes of PLANAPO 2013-2015 and PNAPO we can highlight that it constructed 143,000 cisterns (initial goal was 60,000); assisted 5,300 municipalities to spend 30 per cent or more of their school meal programme budget on purchases of organic and agroecological products from family farmers (some municipalities even reach 100 per cent); assisted 393 rural family farming organizations; launched several public calls that enabled agroecological organizations to expand their staff on an unprecedented scale benefitting about 132,744 farming families; trained 7,722 technicians (initial goal was 2,000) and 52,779 farmers (one third of initial goal of 182,000); promoted 24 networks for agroecology; trained 960 professionals and political leaders on financing women in organic and agroecological agriculture, which benefitted 5,200 rural women in 20 different Brazilian States; supported 556 women’s networks, benefitting 5,566 rural women; adapted 600 native seeds banks to semiarid conditions and trained more than 12,000 farmers families hereon; and financed nine projects for seeds for agroecology. Currently Brazil is facing a rather intricate political and economic situation. PNAPO’s second cycle, PLANAPO 2016-2019, is still ongoing, but due to political turmoil in the country and a severe economic crisis (2014-2016), it faces drastic budget cuts that hamper its implementation. Nonetheless, much was achieved and PNAPO’s bodies have continued working and secured some funding. According to Costa et al, “Brazil was the first country in the world to implement a National Policy for Agroecology and Organic Production”. It is therefore worthy of notice that the Policy has been widely implemented in the country, succeeding as a good example of a multi-sectoral public policy, despite the challenges it still faces. Furthermore, PNAPO has served as inspiration for Brazilian States (such as Minas Gerais, Rio Grande do Sul, Goiás, São Paulo and Amazonas), the Federal District and Municipalities to elaborate their own state and municipal policies, following the guidelines of the National Policy and adapting them to their own realities and necessities. Hence PNAPO is likely suitable to be transferred to other situations. Indeed, there were many exchanges with other Latin American countries, thanks to (and within) REAF – Rede Especializada da Agricultura Familiar. Within this context, a number of the strategies, initiatives and programmes set out by and developed under the umbrella of the PNAPO, such as the Segunda Água Programme and the public calls for ATER, are highly transferable to other countries with common characteristics and issues, with emphasis to those from the global south with large agricultural areas. In particular, Brazil’s National School Feeding Programme has been recognized by various actors (UNDP, WFP, FAO) and has spiked interest from governments in Asia, Africa and Latin America. Developed as a result of intense civil society engagement and structured around seven comprehensive guidelines that encompass the most relevant aspects of sustainable food chains and systems, PNAPO is a unique federal framework policy for advancing agroecology and organic production in Brazil.